The exclusive Roodewal Bush Lodge overlooks the Timbavati river, one of the most beautiful seasonal rivers in the Kruger National Park. Famous for its exceptional sightseeing and great game viewing opportunities, the private and secluded Bush Lodge is situated about 44km to the north of Satara main camp, on the banks of the Timbavati river. 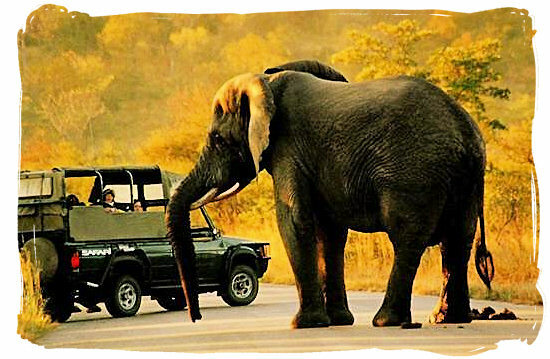 It is the ideal getaway for a family or any other small group who will enjoy a close to nature Africa bushveld experience. With its unique style and atmosphere, the Lodge allows its guests to enjoy complete privacy, as only residents are allowed entrance to the camp. 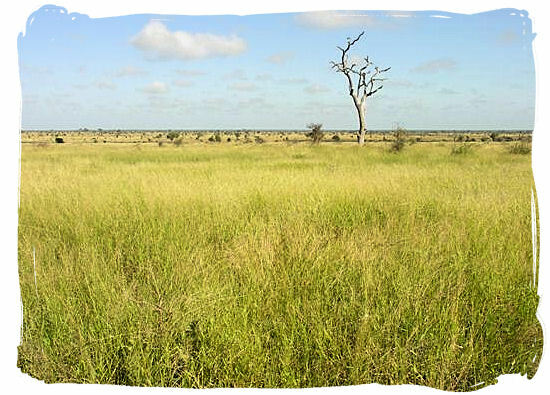 The camp is adorned with Lush riverine vegetation, like Natal Mahogany and Jackalberry trees. The name “Roodewal” (red wall) is derived from the scenic beauty of a nearby ridge, which is overgrown with Aloes, Seringas and Euphorias. 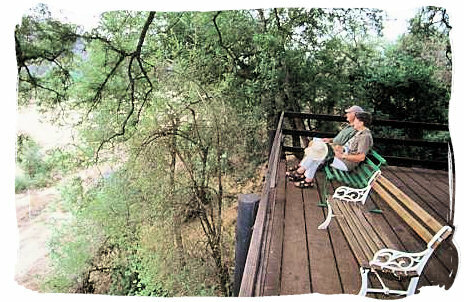 A great game viewing feature at the lodge is a lookout platform that resembles a tree house. 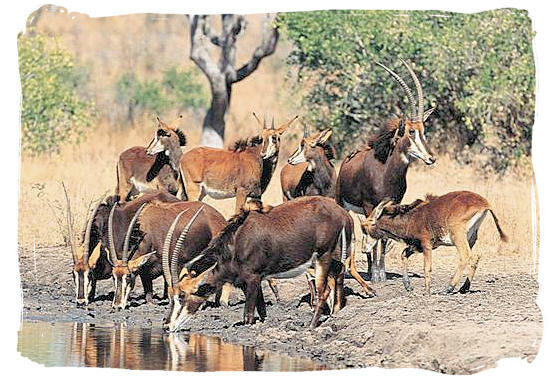 It is constructed around an enormous Nyala tree, and hangs suspended over the banks of the Timbavati river, offering outstanding game viewing along the banks of the river. Go to SANParks.org to view a map of the Kruger National Park showing the location of Roodewal Bush Lodge, then click on the map to enlarge. 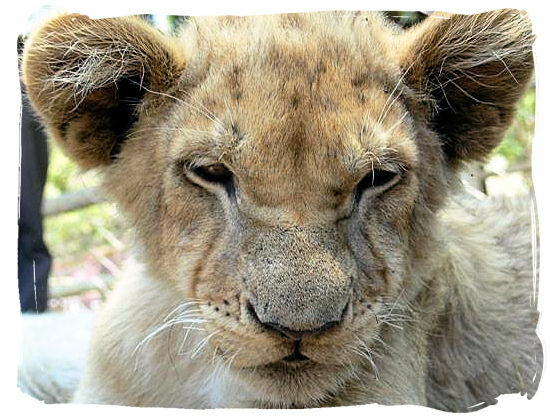 Operated and managed from Satara main camp, The Bush Lodge has no facilities such as reception, shops or a restaurant. However the accommodation units are fully equipped and the communal living area includes a fully equipped kitchen. Electricity by means of solar panels is available for lights and fans only. Residents can make use of all the amenities available at the nearest main rest camp, which is Olifants camp, a 30km drive away. A maximum of up to 19 persons can be accommodated in three bungalows and one family cottage. The Lodge can only be booked en bloc as a whole. The Lodge is ideal for groups of close family and friends, corporate think-tanks or small intimate wedding parties. Accommodation unites are sufficiently spaced to ensure the privacy of each guest or family occupying that unit. Only residents are allowed entrance to the Bush Lodge area. There is one family cottage with two bedrooms and two bathrooms (one with a bath, the other with a shower). There are 3 bungalows that have 3 beds each, a loft with two mattresses, a bathroom (shower) and a small refrigerator. The living area comprises of a fully equipped kitchen, dining room, bar, lounge, braai (barbeque) and viewing deck. The kitchen has a gas stove with oven, refrigerator, freezer, cutlery and crockery. Gas "braais" and "braai" (barbecue) facilities are provided. Accommodation units are serviced daily and supplied with bedding, towels and soap. 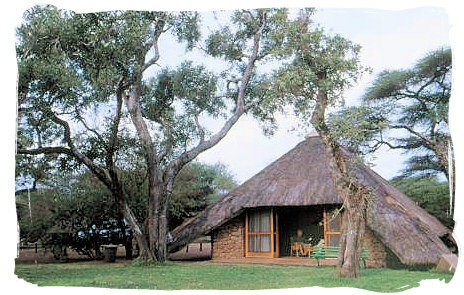 The Bush Lodge is operated and managed form Satara camp and has no Reception area. Visitors can check in at any main rest camp or gate. Accommodation at the Lodge is well suited for those guests that are looking for a private, self-catering bushveld experience. There are no activities at the Lodge itself, however guests may make use of the activities available at the nearby Olifants main camp. 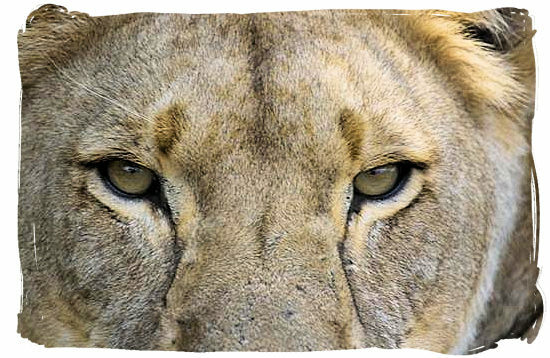 These will ensure exciting close to nature bushveld experiences. 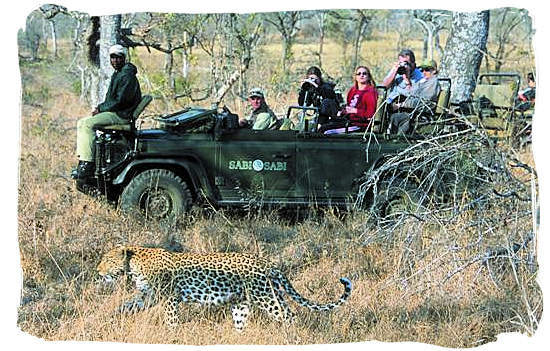 Activities that can be arranged, are morning game drives, night game drives and guided bush walks, amongst others. 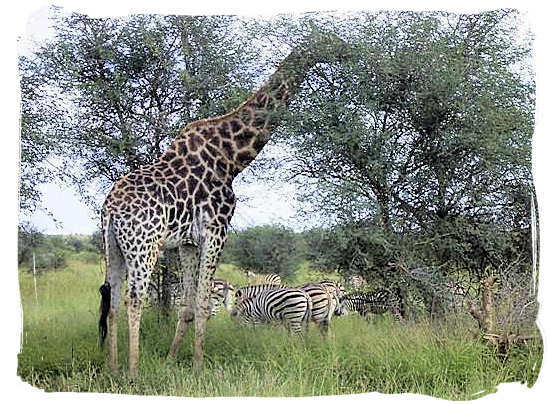 Wildlife found in the Roodewal region include: Lion, Cheetah, Hyena, Steenbok, Elephant, Wildebeest, Kudu, Giraffe, Waterbuck, Zebra and Ostrich. The closest airport to the Lodge is Eastgate Airport which is situated at Hoedspruit, is approximately 68km away from Orpen Gate. South African Express Airways runs daily scheduled flights between Eastgate Airport and OR Tambo International Airport at Johannesburg and less frequent flights to and from Cape Town. Roodewal Lodge is approximately 76km away from Orpen gate. With the speed limit on the main roads inside the Park set on 50km/hr, you should allow about 2 hours for the drive to the Lodge. 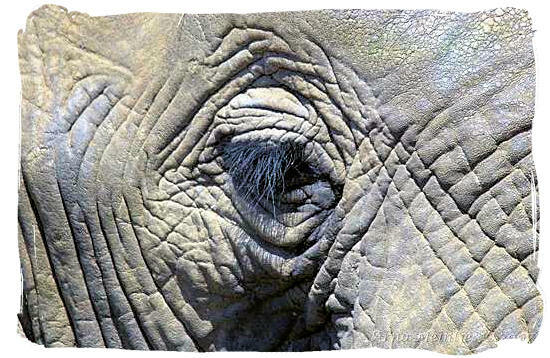 However if you want to enjoy the game viewing possibilities give yourself more time! Travelling from Johannesburg or Pretoria, take the N1 toll-road, direction Nelspruit. At Belfast you take the R540 turn off direction Lydenburg. At Lydenburg turn left onto the R36 heading north via Orighstad and the Strydom Tunnel towards Hoedspruit, Turn right onto the R531 about 30km before Hoedspruit and head to the gate. Allow between 4 to 5 hours for the trip to Orpen gate. 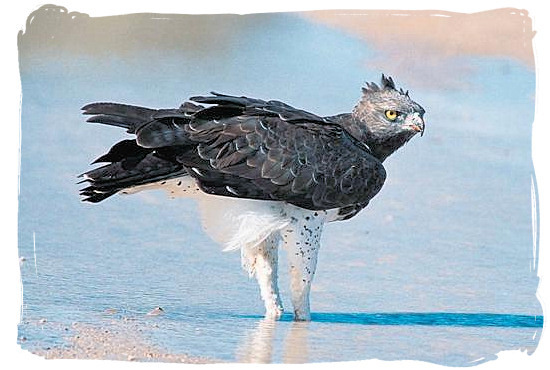 Roodewal Bush Lodge is approximately 76km away from Orpen gate. With the speed limit on the main roads inside the Park set on 50km/hr, you should allow about 2 hours for the drive to the Lodge. However if you want to enjoy the game viewing possibilities give yourself more time! 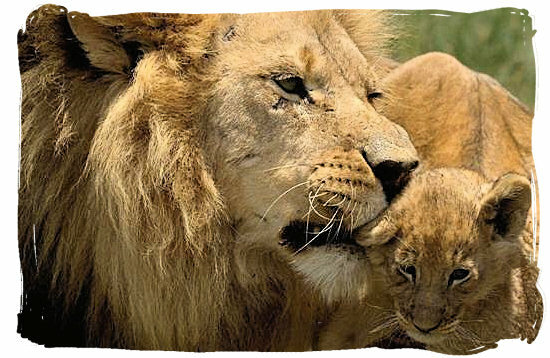 Go to SANParks.org to view a monthly calendar with accommodation availability details of Roodewal Bush Lodge. Go to SANParks.org to book your reservation for the Roodewal Bush Lodge in the Kruger National Park on the official reservations page of the South African National Parks website. Go to SANParks.org to view the tariffs applicable for Roodewal Bush Lodge on the official tariff page of the South African National Parks (SANparks) website.